With the nearby beauty of central Virginia, Richmond residents cannot resist the area’s diverse array of recreational activities, from golf to geocaching, and from hiking to whitewater rafting. The beauty of Virginia’s woodlands has led to the creation of Virginia’s largest state park, Pocahontas State Park, only half an hour from Richmond. This governmentally protected area provides an ideal location to hike, bike, picnic, swim, and camp. Fishing is available at Swift Creek Reservoir and Beaver Lake. 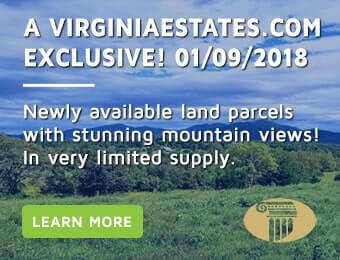 Though difficulty levels vary from forest to forest and trail to trail, the outstanding view of the various mountain ranges which traverse central Virginia is unwavering. For resident golfers, Richmond, Virginia provides the perfect spot to test one’s handicap. With twelve golf courses open for public use and eleven more private golf clubs in the area, there is no shortage of selection for golf enthusiasts. The Richmond area’s elite golf courses provide residents and visitors alike with the perfect place to relax and enjoy central Virginia’s captivating beauty. Families flock to the Richmond area because of the city’s mission to provide a healthy outlet for the residents through public parks. Richmond has an extensive system of parks and trails maintained for public use made up of 9 city parks, several of which contain tennis courts, swimming pools, play grounds, and horseshoe pits. Without leaving the city, residents can hike and observe wildlife as they use year-round exercise trails. Most of the city parks contain picnic areas for families to escape the bustle of the city and enjoy the peace of mind nature brings. Richmond’s parks are known for being pet-friendly: Chimborazo Park even includes a dog park for large dogs, and a separate park for small dogs. Technology meets wildlife with the constantly-expanding, universal treasure hunting game, geocaching. Geocaching allows adventurers to explore the environment around them while using a GPS to uncover hidden “geocaches,” and build a sense of community by sharing their experiences online. Of Virginia’s 9,000 geocaches, Richmond boasts 1,000, with new caches being constantly added to the game.